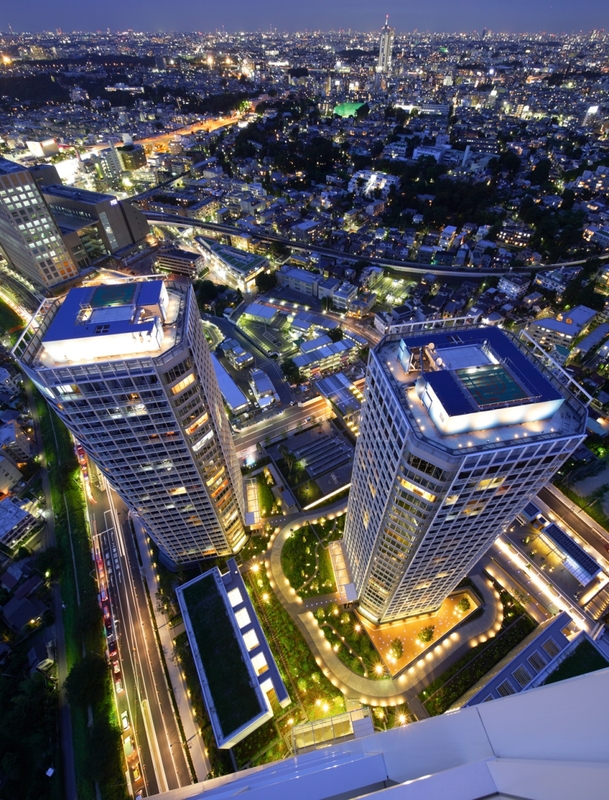 Japan has had an enduring love affair with the design sensibility of Sir Terence Conran, and nowhere is that clearer than in the choice of his architecture company to create one of the country’s largest redevelopment projects in recent years….. Forget newcomers like laptops and smartphones, the technology which has dominated life on this planet for the last 100 years is the motor car. It may have been huge shifts in politics and prosperity that made the 20th century the age of the common man; but it was the car that brought that idea to life. It was not so much the car itself that was life-changing, but the freedom it bestowed. Suddenly travel was a personal pleasure not a public burden, with the timetable and the route controlled by you, not the railway company. But the car was much more than a better means of transport, it was a means of self-expression. The car captured the spirit of the age: the fins of a post-war Cadillac carried signals of confidence and glamour as surely as the classless insouciance of the first Mini announced a cheekier and more democratic spirit in the ‘60s. Above all the car came to symbolise an extraordinary triangulation between power, romance and personal control. You were in charge; you could unleash those horsepower on the open road; and you decided where you wanted to go. Car-makers were quick to capitalise on this. 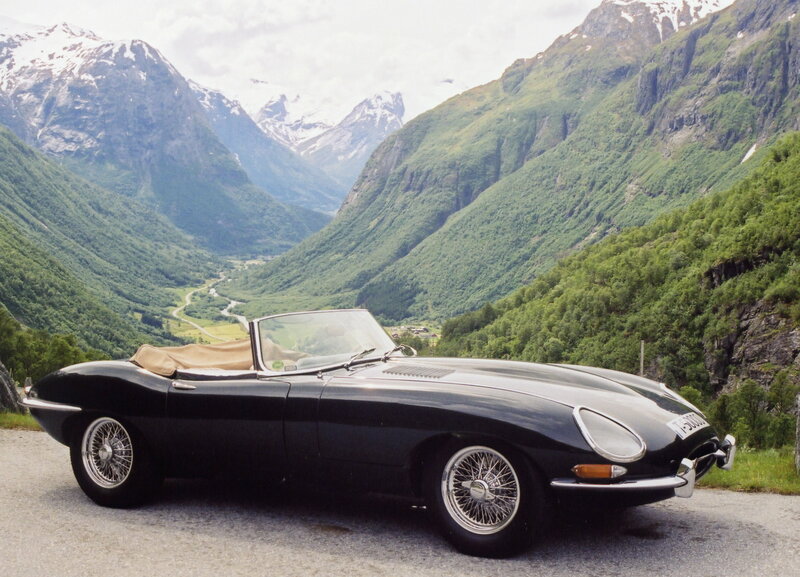 Jaguar gave you ‘Grace, Space, Pace’, while BMW was ‘The Ultimate Driving Machine’. Both these brands skilfully designed the cockpit with a plethora of crisp round dials to make you feel as if you were landing Concorde. Why do you need a rev counter on an automatic car? To make you feel better, that’s why, to make you feel in control. Every car commercial seemed to be shot at dusk in some remote and glorious part of the Scottish Highlands. In our lives we go to Tesco, but in our dreams we go to Cape Wrath. The design and the marketing of the modern car has deliberately played to our deepest fantasies of power and control. But that is suddenly seeming much less relevant. Of course, there’s always a gap between fantasy and reality; and if that gap is as wide as the Thames, you might get away with it. But when the gap seems as wide as the Atlantic Ocean, the fantasy starts to implode. 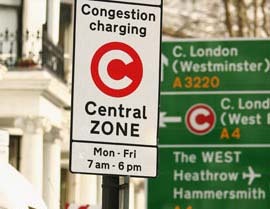 In today’s reality, we have speed limits, speed bumps, speed cameras, parking fines, congestion charging, exponential leaps in fuel prices, and – above all – far more cars. Which means far more traffic. I drive a Mini Cooper S, a car which symbolises performance as well as practicality. With its turbo-charged engine it’s capable of 140 mph: yet most of my driving hours are spent in London traffic where I’m pleased to be doing 20 mph. How can the car-makers of today cope with this? If their designers and marketeers turn their back on the romance of the car, they put their magic ingredient at risk. Yet somehow that romance has to be re-articulated in a language that makes sense in today’s over-crowded over-regulated world. Those lovely, old commercials in the isolation of the Scottish Highlands just don’t wash any more. The new generation of car commercials, showing a car practically leap-frogging through an urban world, is equally implausible. I think the answer is to think of the car less as transport, more as cocoon. Being in your car is being in your own private world, and that can be a pleasure in itself. If you tell me my journey is going to be quick and traffic-free, I simply won’t believe you. But if you tell me my journey, however irksome, will be made a joy by the elegant design of my cocoon, with its luxurious leather seats, its hands-free phone, its i-pod ready stereo, then I might start to believe you. Of course, that idea needs to be developed beyond doing the existing stuff well to doing something quite new in my cocoon. But it is the right direction. How else can you explain the success of the SUV? We all know that off-roaders never go off road, and the only range which Range Rovers rove upon is the run from home to the nearest private school. But these behemoths are the ultimate cocoon. They are, literally, above the traffic. Their hugeness emphasises the isolation of the occupants from the stressful world outside. Of course, their cumbrous nature makes them much less fun to drive than my Mini-Cooper, but since we’re both in a queue at 20 mph, that doesn’t matter. Driving today is much less about the pleasure of speed and much more about the pleasure of seclusion. Car-makers and their designers need to recognize that: their customers already know. 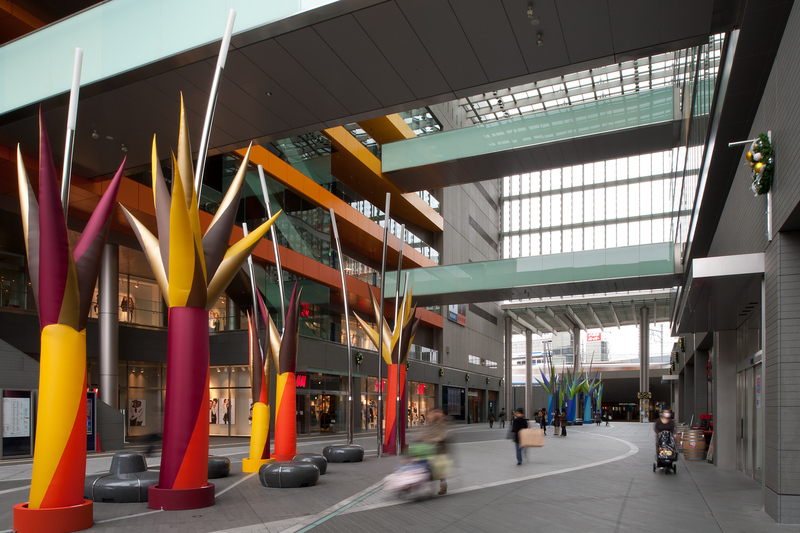 What’s new for Spring 2012? Conran exclusive design only at M&S is starting off 2012 all bright and beautiful – our new spring collection is now available online and instore. We’ve got more design-led upholstery, cabinet pieces and accessories but are adding to last autumn’s preview range with hundreds of new products including beautiful graphic bedlinen and a tabletop range with our trademark twist on the traditional. Chosen pieces featured in the press are the Graphic Button cushion and the Crewel Stitch cushion of block lines, both perfect finishing touches for the living and bedroom. Particular favourites amongst the team are the beautiful Chambray and Jacquard bedlinens and of course the Amis sofa – which like all of the upholstery is made right here in the UK. Just to prove how much we want you to see and own some of these fabulous new products the lovely people at M&S are offering a fantastic 20% off for Conran fans until 17th February 2012. Leaflets will be available to pick up instore, and can be used in stores stocking the Conran range*, or alternatively enter the code CONRAN20 at the online checkout. Find out more about the Conran team’s favourite products over the next few days. But which stores are stocking Conran? *Aberdeen, Union Square. Manchester, Barton Square. Cheltenham, Kingsditch. Cardiff Capital. Lisburn, Sprucefield. Tunbridge Wells, Fountains Park. Glasgow, Argyle Street. Stratford City. Dartford, Bluewater. London, Marble Arch. Camberley. Pudsey. Newcastle, Metro Centre. Merton. Warrington, Gemini Retail Park. Southampton, Hedge End. Edinburgh, Gyle. Thurrock, Lakeside. Dudley, Merry Hill. Chester. Shoreham. Bromley. Cheshunt. Bristol, Cribbs Causeway. Kingston. Sheffield, Meadowhall. St Albans, London Colney. Nottingham. York, Coppergate. Leicester, Fosse Park. Peterborough. Norwich. Manchester. Bournemouth, Castlepoint. Dublin, Liffey Valley. Wilmslow, Handforth Dean. Dublin, Mary St. Harrogate. Southport. Westfield, White City. Glasgow, Braehead. Cardiff, Culverhouse Cross. Dublin, Dundrum. Bath. Croydon. Liverpool. Newcastle. Southampton, West Quay. Plymouth. London, Kensington. Belfast. Glasgow, Pollock. Middlesbrough. 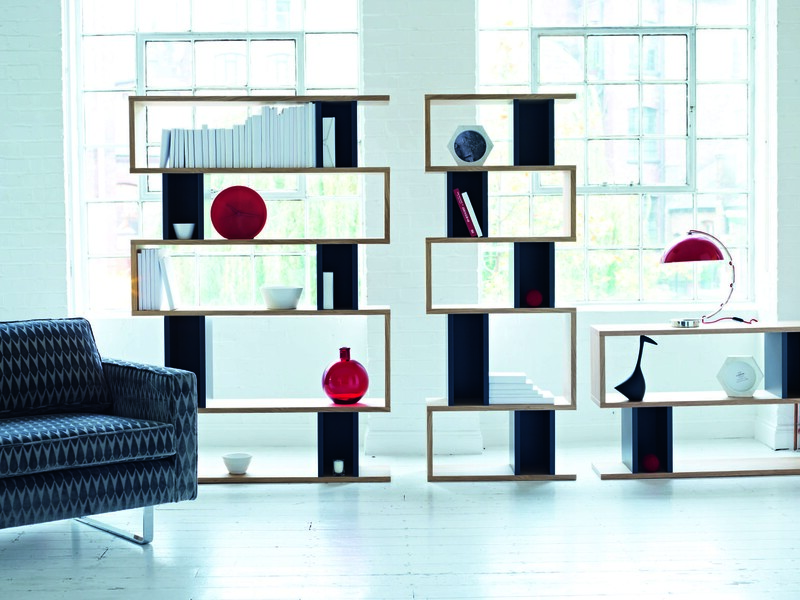 Conran at the HOME show: Who has the Best Stand, the Best New Product and the Best British product? The brand new HOME show, which ran last week at Earl’s Court, offered an inspiring selection of stylish, high quality interior accessories, lighting and occasional furniture, from hundreds of the best design companies in the UK and Europe. Joining a panel of judges whose job it was to select the best of the show’s stands was our own Jill Webb from Conran & Company who was accompanied by other design commentators including London Design Guide editor Max Fraser. 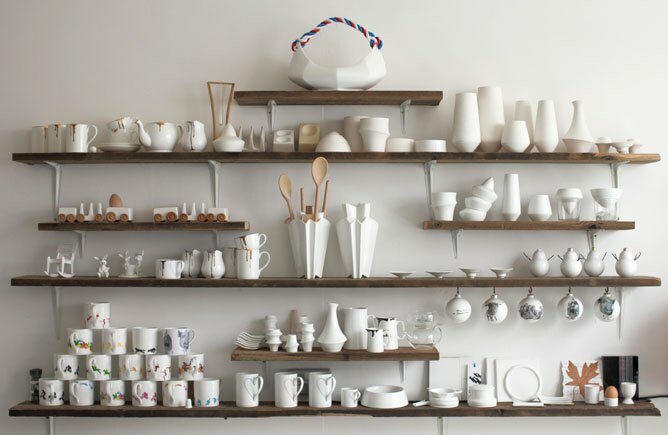 The winner in the best stand category was Reiko Kanieko – known for her delicate ceramics and pleasing aesthetic style. Hers was a tiny stand and the judges felt quite strongly it would have been easy to award the prize to a big stand but that the restrictions of smaller scale made the job a lot more difficult. The stand complemented the product beautifully, with narrow shelving in quality wood and simple, paired back but elegant design. 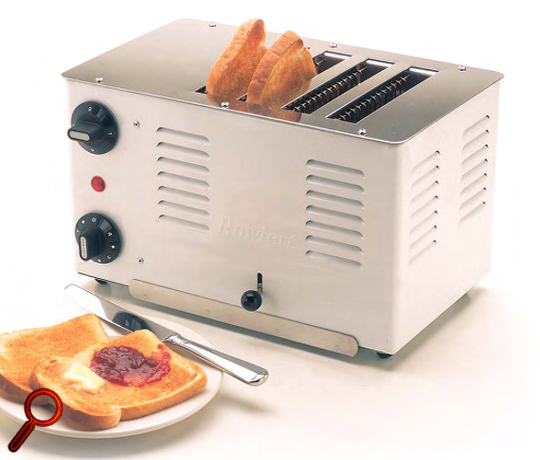 Best British product went to a new entry from former trade-only toaster makers Rowlett Rutland (best tag line ever “Because toast deserves respect” – so true) also proudly, and wonderfully, made in the UK. Being ‘good enough for industry’ definitely makes these toasters a firm favourite among us consumers we are sure and the fact they are made in the UK make them a firm Terence favourite too. The best new product was Black & Blum’s ‘eau good’ water bottle: not just a clever name but also a stylish looking water bottle that makes tap water taste great. 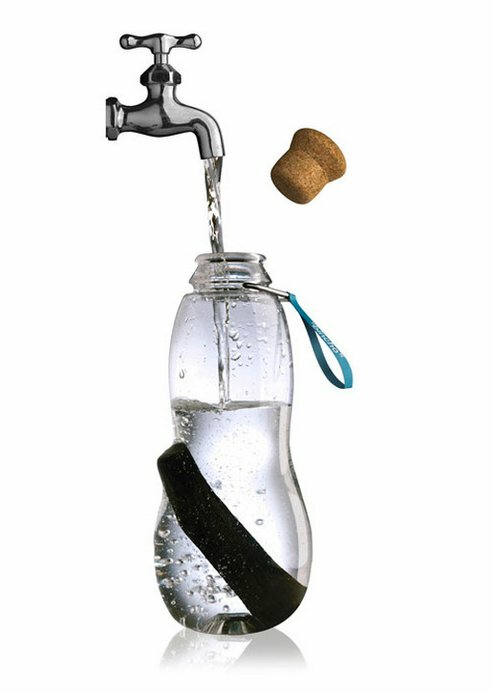 Dan Black and Martin Blum wanted to create a bottle that was ergonomically- (and aesthetically) designed and would filter tap water as you drink. The ingenious and careful design is based on an ancient Japanese filtering system using carbon filters. Read more about it here on Treehugger. All in all a great show – and not forgetting we were there in our own Conran capacity too, showing some brand new designs from Content by Conran and Conran Bath & Body.